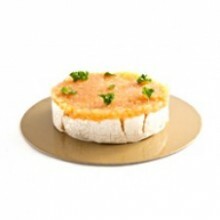 Almond Biscotti by Bizu Patisserie Crisp roasted pumpkin seeds infused with orange zes. 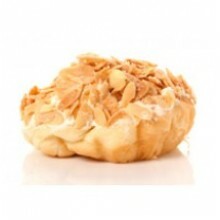 Crumbly and aromatic twice-baked almond biscuit. Available Sizes: Plastic tube 150 grams Shipping Delivery: Same day delivery for Metro Manila. Next day delivery for Provincial. cut-off time at 1:00 PM Philippine Standard Time. Your purchase includes a complimentary personalized gift card. 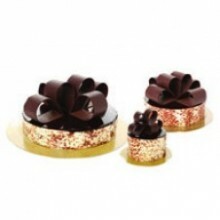 Amour by Bizu Patisserie Orange chocolate mousse in between layers of creme brulee and brownie. Available Sizes: Midi 6 " inches Grande 9" Shipping Delivery:​ Metro Manila Only. Please Note: Place order at least 3-4 days prior to delivery date. Cut-off time at 1:00 PM Philippine Standard Time. Your purchase includes a complimentary personalized gift card. Antoinette by Bizu Patisserie Pistachio cream, white chocolate ganache, white chocolate couverture, crushed pistachio. Available Sizes: Box of 4 Box of 6 Box of 12 Shipping Delivery: Same day delivery for Metro Manila. Next day delivery for Provincial, cut-off time at 1:00 PM Philippine Standard Time. Your purchase includes a complimentary personalized gift card. Apple Tartlet by Bizu Patisserie A sumptuous selection of mini-tarts topped with luscious chocolate, fruits and preserves. 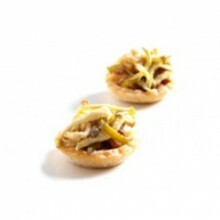 At Bizu we provide an assortment of bite-sized tarts to liven-up your afternoon tea parties and dessert buffets. Mix and match your favorite petit pastries to create a palette of flavors that your guests will find irresistible. Available Sizes: 10 pcs. 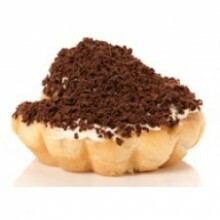 (Party Tray) Shipping Delivery: Place order at least TWO (3) days Lead Time prior to delivery date. Cut-off time at 1:00 PM Philippine Standard Time. Your purchase includes a complimentary personalized gift card. 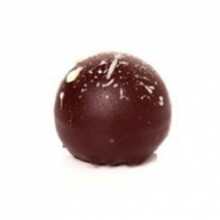 Arabella by Bizu Patisserie Milk and dark chocolate ganache, coffee, fresh milk, dark chocolate couverture, mocha bean. Available Sizes: Box of 4 Box of 6 Box of 12 Shipping Delivery: Same day delivery for Metro Manila. Next day delivery for Provincial. cut-off time at 1:00 PM Philippine Standard Time. Your purchase includes a complimentary personalized gift card. 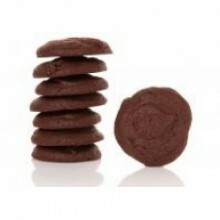 Belgian Chocolate by Bizu Patisserie Cookies or biscuit means twice baked in Latin, and due to its hard and dry texture, these sweetened pastries were regularly taken on sea voyages and military campaigns since the glory days of Rome. The modern day cookie is a far cry from its early predecessors with its rich flavor and chewy texture. At Bizu we pride ourselves on the chewy texture of our chocolate chip and Belgian chocolate cookies, and our attention to detail that ensures their delicate balance of crunchiness, creaminess and sweetness. Available Sizes: Plastic tube 150 grams Shipping Delivery: Same day delivery for Metro Manila. Next day delivery for Provincial cut-off time at 1:00 PM Philippine Standard Time. Your purchase includes a complimentary personalized gift card. 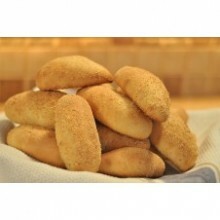 Bizu Pandesal by Bizu Patisserie Soft and light classic Filipino bread perfect for breakfast and as a snack. Available Sizes: Pack of 6's Shipping Delivery: Same day delivery for Metro Manila. 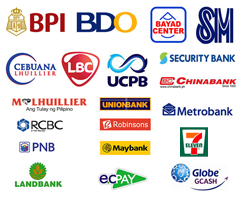 Next day delivery for Provincial, cut-off time at 1:00 PM Philippine Standard Time Your purchase includes a complimentary personalized gift card. Blueberry Chilboust by Bizu Patisserie The creamiest cheesecake delight topped with blueberry filling on Bizu's special shortbread crust. Available Sizes: Midi 6 " inches Grande 9" Shipping Delivery: Metro Manila Only. Please Note: Place order at least 3-4 days prior to delivery date. Cut-off time at 1:00 PM Philippine Standard Time. Your purchase includes a complimentary personalized gift card. 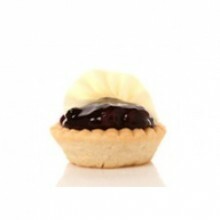 Blueberry Tartlet by Bizu Patisserie A sumptuous selection of mini-tarts topped with luscious chocolate, fruits and preserves. 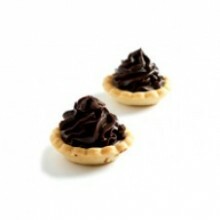 At Bizu we provide an assortment of bite-sized tarts to liven-up your afternoon tea parties and dessert buffets. Mix and match your favorite petit pastries to create a palette of flavors that your guests will find irresistible. Available Sizes: 10 pcs. 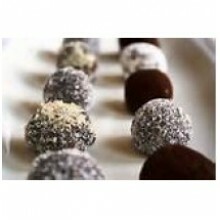 (Party Tray) Shipping Delivery: Place order at least TWO (3) days Lead Time prior to delivery date. Cut-off time at 1:00 PM Philippine Standard Time. Your purchase includes a complimentary personalized gift card. 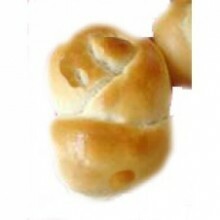 Bow Knot Roll by Bizu Patisserie Soft white dinner rolls perfect with butter or fruit jams. Available Sizes: Pack of 6's Shipping Delivery: Same day delivery for Metro Manila. Next day delivery for Provincial, cut-off time at 1:00 PM Philippine Standard Time. Your purchase includes a complimentary personalized gift card. 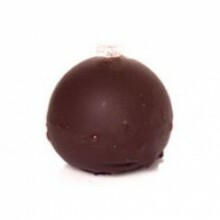 Calamansi Zing by Bizu Patisserie Dark chocolate ganache, calamansi puree, dark chocolate couverture. Available Sizes: Box of 4 Box of 6 Box of 12 Shipping Delivery: Same day delivery for Metro Manila. Next day delivery for Provincial, cut-off time at 1:00 PM Philippine Standard Time. Your purchase includes a complimentary personalized gift card. Caramelized Apple on Brie by Bizu Patisserie Imagine gorgeous apples made even sweeter by being swirled in a pan of syrup. Lay everything on a bed of creamy brie for that perfect contrast. A glimmer of sugar and a brush of salt. The earth and the sea together in perfect harmony! 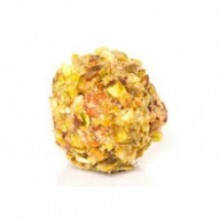 Available Sizes: 5 diameter Shipping Delivery: Place order at least 3-4 days Lead Time prior to delivery date. Cut-off time at 1:00 PM Philippine Standard Time. Your purchase includes a complimentary personalized gift card. 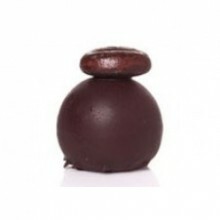 Caramella by Bizu Patisserie Fleur de Sel de Camargue, caramel, dark chocolate couverture. Available Sizes: Box of 4 Box of 6 Box of 12 Shipping Delivery: Same day delivery for Metro Manila. Next day delivery for Provincial, cut-off time at 1:00 PM Philippine Standard Time. Your purchase includes a complimentary personalized gift card. Chestnut Cake by Bizu Patisserie Combination of chestnut cremeaux, moist speculoos cake, and caramel glaze, topped with chestnut cream. Available Sizes: Midi 6 " inches Personal 3 inches Shipping Delivery: Place order at least 3 days prior delivery date. cut-off time at 1:00 PM Philippine Standard Time. Please Note: Your purchase includes a complimentary personalized gift card. 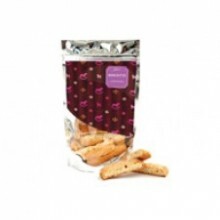 Chocolate Chip with Walnuts Cookies by Bizu Patisserie Cookies or biscuit means twice baked in Latin, and due to its hard and dry texture, these sweetened pastries were regularly taken on sea voyages and military campaigns since the glory days of Rome. 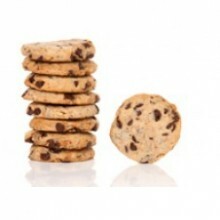 The modern day cookie is a far cry from its early predecessors with its rich flavor and chewy texture. At Bizu we pride ourselves on the chewy texture of our chocolate chip and Belgian chocolate cookies, and our attention to detail that ensures their delicate balance of crunchiness, creaminess and sweetness. Available Sizes: Plastic tube 150 grams Shipping Delivery: Same day delivery for Metro Manila. Next day delivery for Provincial. cut-off time at 1:00 PM Philippine Standard Time. Your purchase includes a complimentary personalized gift card. Chocolate Ensaymada by Bizu Patisserie Dark Chocolate droplets folded with our butter Brioche dough topped with whipped butter and shaved Belgian chocolate. 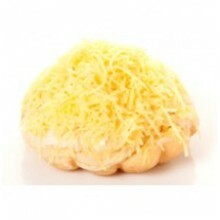 Available Sizes: Pack of 3's Box of 6 Box of 10 Box of 5 Box of 12 Shipping Delivery: Same day delivery for Metro Manila. Cut-off time at 1:00 PM Philippine Standard Time Your purchase includes a complimentary personalized gift card. Chocolate Tartlet by Bizu Patisserie A sumptuous selection of mini-tarts topped with luscious chocolate, fruits and preserves. 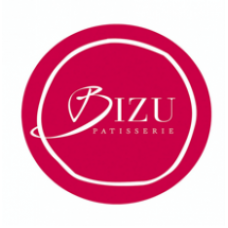 At Bizu we provide an assortment of bite-sized tarts to liven-up your afternoon tea parties and dessert buffets. Mix and match your favorite petit pastries to create a palette of flavors that your guests will find irresistible. Available Sizes: 10 pcs. (Party Tray) Shipping Delivery: Place order at least TWO (3) days Lead Time prior to delivery date. Cut-off time at 1:00 PM Philippine Standard Time. Your purchase includes a complimentary personalized gift card.